IVF is a complex medical process full of complicated procedures, and we all know it. Although medical facts are proven, every case is different. There’s a different story behind every couple deciding to have treatment as they have various medical reasons and their whole life situation differs. That makes a whole process a lot more difficult. And if you’re here, we’re sure we don’t even have to explain it to you. If we want it or (rather) not, the pregnancy time which should be peaceful, calm and restful is filled with uncertainty. Instead of the sense of fulfillment, all you can feel is just huge exhaustion of the body and lack of strength. On the other hand, there are endless layers of hope and excitement. Feelings, reactions and thoughts are just mixed. It’s like a roller coaster ride or emotional swing at least. Days are full of fear and doubts to carry, but also unrevealed joy. Hours, minutes and seconds are spent on waiting, months and weeks on expectations. That’s tough! But we know how to help. 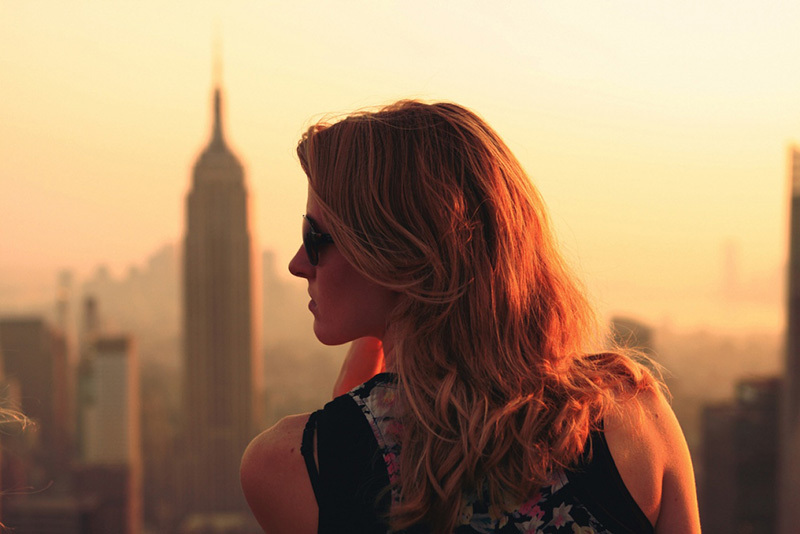 IVF treatment – the patient’s inside story: what can I do to help my chances? We have invited a speaker who knows the struggles of IVF because she has been through it herself three times. She did some things differently during her last IVF cycle and will be happy to share her views on that.Join our live webinar on 9th April 2019 at 8 PM UK time and meet Jennifer “Jay” Palumbo, a freelance writer, infertility and women’s rights advocate. Our goal is to provide you with information about medical knowledge and the secrets of the IVF process. How we do it? We do IVF Webinars and IVF Podcasts which are packed only with good stuff: professional, trusted and reliable content, delivered by world-class IVF specialists. There’s more: we do it weekly, so every week there’s a chance to meet best doctors, embryologists, psychologists or midwives oriented on IVF couples. Couples with specific issues, detailed medical problems, hard experiences of miscarriages or ethical dilemmas. Nobody else in the whole world does what we do! Either on this scale, level of advanced substantive knowledge or quality of given materials. Any other website or no other source in the whole Internet delivers such a wide range of support or even a similar amount of expert content. The more we are proud! 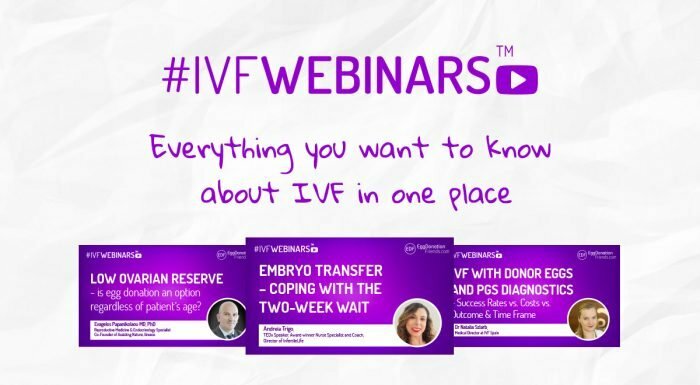 The main idea behind #IVFwebinars is to deliver a wide scope of expertise and give you the chance to meet the best IVF doctors and embryologists from all over the world. They know every detail of the IVF process and share their priceless knowledge with you. As FertilityClinicsAbroad.com, we know that positive attitude is a huge part of the success, so we have many presentations by all supportive specialist who help to cope with stress, explain how to handle the difficulty of the situation and know how to support you at every stage of this overwhelming process. This makes our website one of a kind. You, all IVF patients are our main focus and we put all your needs in the first place. Webinars take place every week (on Tuesday evenings). All you have to do is to submit your spot on our partner’swebsite EggDonationFriends.com . Free of any charge. We want you to have all the information about the most complicated aspects of IVF available at your fingertips, even without leaving home. The subject of the webinar is revealed so you can decide whether it’s interesting for you or not. The first is the doctor’s presentation on the topic and the second one is attendees’ questions. You ask, we answer! FREE! Everybody can ask a question during the live event (the number of question per person isn’t limited). All webinars are also available online the following day, without any limits, so it can be rewatched or you can catch up with it if you’ve missed the live event. Moreover, the transcript of the Q&A session let you get all the answers black on white. All the subjects are chosen carefully with experts to extend the range of topics which are the most important not only for the doctors from the medical point of interests but the most common from patients’ perspective. Our experience lets us assist you with the answers for the questions you may have as IVF patients also on the daily basis. Complex online guidance on the IVF topic is one of the most important goals of our job. So you can ask for advice or contact with the specific clinic or specialist. At EggDonationFriends.com you will find all information needed about IVF Abroad, donor eggs, embryo quality, IVF failure, PGS /PGD and much more medical stuff such as issues related to psychological help. It’s best if you subscribe to our YouTube channel, where you can find all the episodes and be up to date with new videos.